We’re following Jesus into loving, liberating and life-giving relationship with God, with each other and with the earth. How do we join? First, we follow Jesus. 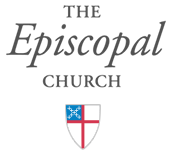 We are simply the Episcopal branch of the Jesus Movement, seeking every day to love God with our whole heart, mind and soul, and to love our neighbors as ourselves (Matthew 22:36-40). Just like Jesus. What’s our work? We’re working on simple practices for each priority area – if it’s a Movement, then we should all be able to grasp the ideas and get on board. Then we’re mapping a strategy that inspires and equips all of us to join God and make a difference. The Jesus Movement takes you places. For the Episcopal Church, it calls us to focus on three specific Jesus Movement Priorities: EVANGELISM: Listen for Jesus’ movement in our lives and in the world. Give thanks. Proclaim and celebrate it! Invite the Spirit to do the rest.